Westcott® has provided the world with innovative and well designed products for over a century... at affordable prices, without sacrificing quality. 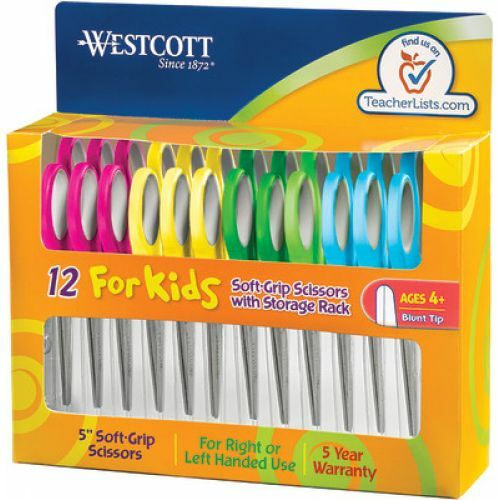 Westcott is dedicated to supporting education and inspiring creative activities in the classroom and at home. Products are specifically designed for growing students, created to be fun and functional with superior quality and exceptional value. Especially designed for a child's hand. Extra strong and durable stainless steel safety blades. Molded, asymmetrical handles allow for either left- or right-handed use. Blunt scissors are most suitable for ages 4+. 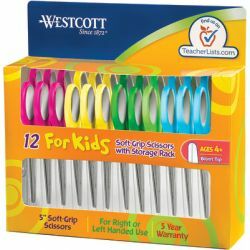 Easily cut through paper, string and other craft materials.